Since 1992, Sony Pictures Classics has been the force behind the production and distribution of international independent films of the highest caliber. Its standards of quality and integrity have consistently afforded cultural strides for films emerging from outside of Hollywood structures and provided beginnings for actors and directors who would evolve toward distinguished accomplishments in cinema. Reflecting the ethos of SPC, the Roxy Cinema presents a December lineup from the company’s archive observing the subject matter of preserving the creative impulse of the outsider and the sanctity of an art form. Guillermo del Toro’s The Devil’s Backbone and Jim Jarmusch’s Only Lovers Left Alive address these themes with innovative interpretations of Gothic Horror. Del Toro infuses the genre with political overtones, making for a chilling and beautiful film set in a haunted orphanage during the Spanish Civil War. Jarmusch repositions the vampire legend to characterize the flailing archetype of the aesthete in a world increasingly devoid of high culture; simultaneously evincing hypnotic performances from Tilda Swinton, Tom Hiddleton and John Hurt. Underdogs (and wiener dogs) are the heroic champions of the indie mythos. Welcome To The Dollhouse was a breakout film for the prolific Todd Solondz in 1995. The film has since developed legendary cult status in its blackly comedic portrait of an awkward teen in her ill-fated struggle for love and popularity in high school. 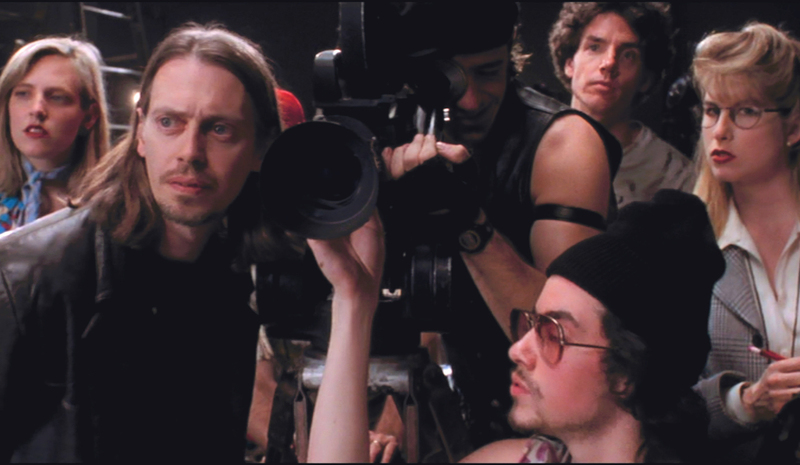 The same year’s Living In Oblivion is a charming narrative around the pains and blunders posed by low budget filmmaking featuring early performances for some of indie’s greatest stars including Steve Buscemi and Catherine Keener. A very early start for Scarlet Johansen at eleven years old figures in another dark comedy Manny & Lo, where two orphaned sisters are forced by the elder’s pregnancy to kidnap a clerk from a baby supply store. The film earned Johansen and Independent Spirit Award and launched her diverse and prestigious career. Acclaimed filmmaker Neil LaBute first earned a name for himself in 1997 when he swept Sundance with In the Company of Men, a cutting satire on the mishaps of misogyny. A more complex and controversial play on gender politics erupts in Spike Lee’s overlooked mid-career masterpiece She Hate Me. The film stars Anthony Mackie as John Henry Armstrong, a high profile executive gone bankrupt under false charges of fraud. His poverty inspires a clandestine enterprise by which he renders a service of personally impregnating lesbians for large sums of cash. The plot escalates to a legal and media furor and features appearances by an eclectic cast including Q-Tip, John Turturro, and Woody Harrelson. Recent heavyweight in Oscar-contendership, Whiplash, poetically transfigures the isolation and turmoil of the burgeoning artist. It was the first feature film from writer/director Damien Chazelle, who went on to win the Academy Award for Best Director in 2017 for the wildly popular La La Land. Further, the trials of the established artist are rendered in organic trajectory with 2000’s Pollock, written and directed by Ed Harris in biography of the eponymous Abstract Expressionist. Harsh political commentary is invoked by Waltz With Bashir, an inventive work that merges the medium of animation with the unlikely genre of war documentary. The film is a potent accomplishment for Israeli filmmaker Ari Folman, recounting the traumatic vicissitudes of the Lebanon War. The Roxy Cinema exhibits this crafted selection from Sony Pictures Classics throughout December. Be sure to check our January calendar where the series will continue with a second edition of films from this eminent canon.